The Los Angeles DUI community (and the rest of the country) may be focused on the NFL playoffs, but football fans have been temporarily distracted by yet another NFL DUI arrest. 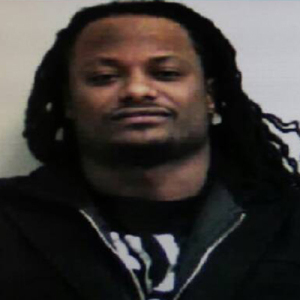 Police say that Tim Jennings, a member of the Chicago Bears, had been speeding while DUI – he allegedly had been zipping along at 99 mph on a 65 mph highway in Georgia. The trooper that pulled him over said that Jennings had alcohol on his breath and that his eyes were a little red. Jennings admitted to the officer that he had consumed alcohol but had waited nearly ten hours before getting behind the wheel. Jennings refused both a field sobriety test and a breathalyzer. The officer reported that the football star laughed through questioning and told him that he had been speeding to attend a parent-teacher conference. In California, excessive speeding can lead to more complicated DUI charges. Calfornia law defines the crime of “driving recklessly” but leaves some ambiguity about what actually constitutes recklessness. Driving 20 to 30 mph over the speed limit will likely net you a “driving recklessly” charge, which can lead to harsher sentences, more jail time and longer license suspension. Research confirms intuition: speeding is very dangerous. For every ten miles per hour increase after 55 mph, the average vehicle requires an additional hundred feet to make an emergency stop. Jennings, for instance, would have needed a football field’s extra space to avoid an accident. Fleeing the scene of a DUI hit-and-run accident — especially after causing damage to property or hurting someone else — can result in a maximum sentence of ten years in prison. But even if police stopped you for a standard misdemeanor DUI, you could face diverse punishments, including jail time, mandatory installation of an interlock ignition device in your car, spikes in your insurance premiums, loss of your license and intense probationary terms.